The latest commercial from 1-800-PetMeds, titled, “We Love Our Vets” has begun airing through a variety of multimedia placements, including television, online, and through e-mail. As one of the initiatives for PetMeds discussed at the NAVC Conference in January, this commercial idea was launched. In it, pet owners are encouraged to take their pet to the veterinarian for annual checkups, emphasizing how important it is to test for heartworm as well. Because the CAPC issued their first-ever heartworm forecast warning for the entire United States, the commercial is one of the measures PetMeds is taking via 1800PetMeds.com to share this information with pet parents. Some of the products promoted in the commercial include Advantage II and K9 Advantix II to repel mosquitos known to cause heartworm disease. The We Love Our Vets commercial will air beginning Monday August 27th until September 30th on the following stations: A&E, Animal Planet, Bravo, CNBC, CNN, Cooking Channel, DIY, E!, Food Network, Fox News, Hallmark, Headline News, HGTV, Lifetime Movie Network, OWN, Oxygen, Soap Network, TLC, and TV Land. 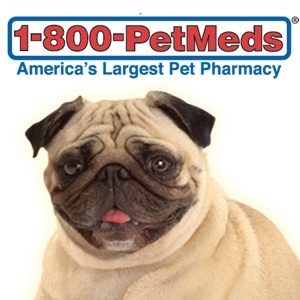 Petmeds.com was founded in 1996 and is a public company. They earned their Vet-VIPPS accreditation through the National Association of Boards of Pharmacy. For more information on PetMeds, visit www.PetMeds.com. To view the commercial, visit http://www.1800petmeds.com/videos.jsp. What is the PetPR.com Insiders Program?